Rely on LTC for all your tire and auto services. Call us first, and receive personal attentional from our automotive professionals. Whether your vehicle is foreign or domestic, diesel or gasoline, we have the right tire at the right price. Let us take care of your maintenance requirements too. 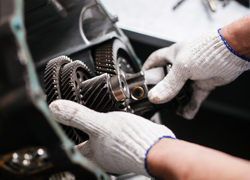 We mount and rotate tires and perform wheel alignments, and we also provide oil changes, tune-ups, and brake services. LTC is your total car care center. We take a different approach from dealerships and provide top-quality services at competitive prices. Our reputation is based on our honesty and professional work. Any Service When You Give Us a Five-Star Review on Google! LTC is located in Forest Park, Georgia. 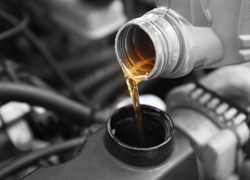 In addition to selling tires, our service station is a full-service auto repair shop. 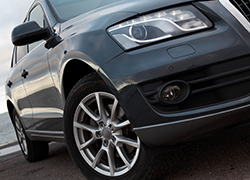 Come to us for repair services (excluding body work) and maintenance services that keep you safe on the road. We take great pride in delivering fast, friendly, reliable auto services. And we don't use gimmicks to get you into our shop. LTC is known for quality work and reasonable prices, and we rely on our customers to spread the word. We're proud to serve our community. Experience our knowledge and expertise first-hand when you meet our honest and dependable technicians. LTC is currently owned by Richard Kim, but the company has been satisfying customers since 1946. It was a family business under the Lee family, and the Kim family is carrying on the tradition of a family-owned-and-operated service station. Our mission is to provide a level of quality and service unavailable anywhere else!